Stage Frills are used to decorate the front side of the stage curtain. These are attached under the valance. These stage frills add an attractive look to the stage. At Stage Curtains these frills are available in various designs and colours and are shrinkage free. Frills are the decorative part seen over the valance above the curtain. They solve the purpose of masking stage tracks and curtain hooks. They can be used both as same colour of curtain or can be contrasted to the main curtain. A mix of different styles, colours and fabric can be used to serve different effects on the curtains and designs. They remain attached and do not open when the curtain gets folded; similarly, they remain in the same position when the curtains unfold. Different frills are used for different parts of curtains and different areas. 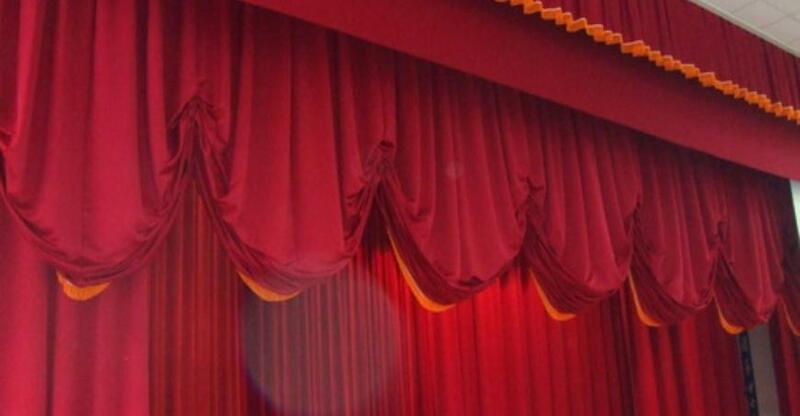 The of rear stage curtains, frill reduces as compared to front stage curtain frill.